The current distillery at Brora was built in 1967, right slap gang next to an existing distillery which opened originally in 1819. 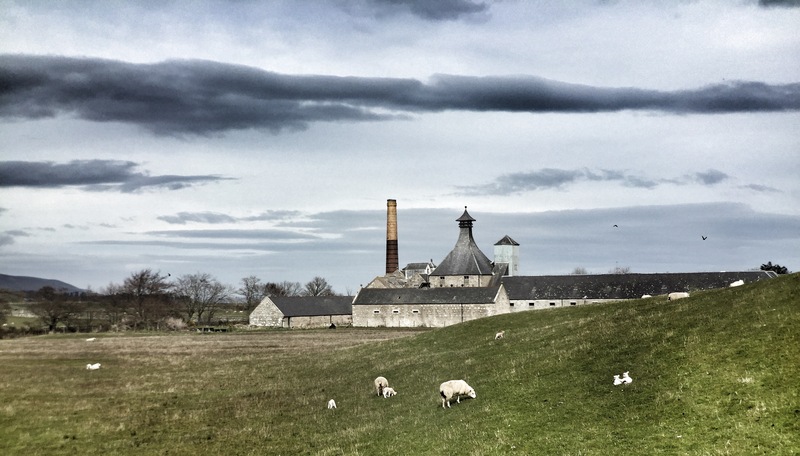 The whiskey currently produced here is slightly peaty whisky, but much valued by blenders. It is one of the base spirits for the excellent Johnnie Walker Gold Label. The distillery is only 500m from where we are staying here just outside Brora spot would be churlish not to have a gander at the place. The new building whilst being functional doesn’t hold a candle to the architecture of the original distillery. 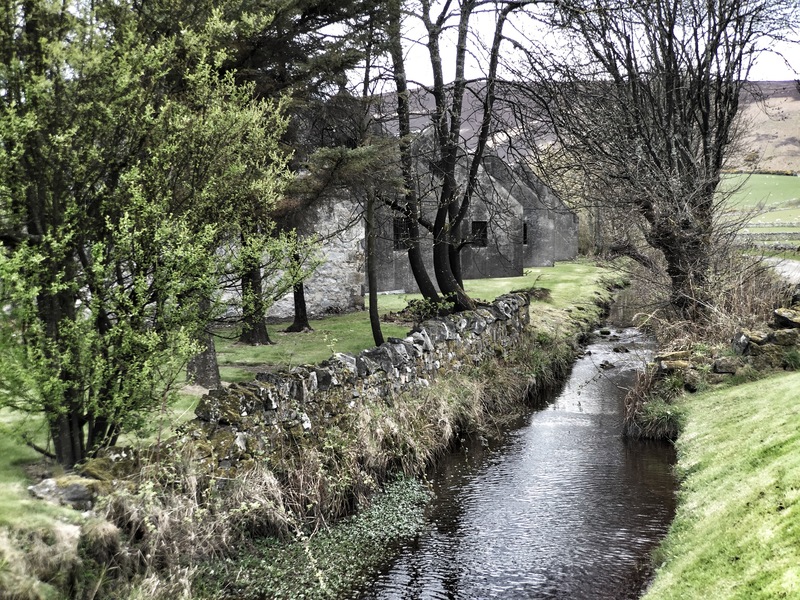 The distillery was founded in the village of Brora by the Marquis of Stafford, later known as the Duke of Sutherland. He is more famous in Scotland for his part in the Highland Clearances of the same year, when he evicted around 15,000 crofters from his land in order to farm sheep. It has been suggested that he started the distillery to provide a market for his barley and to put the local moonshiners out of business. 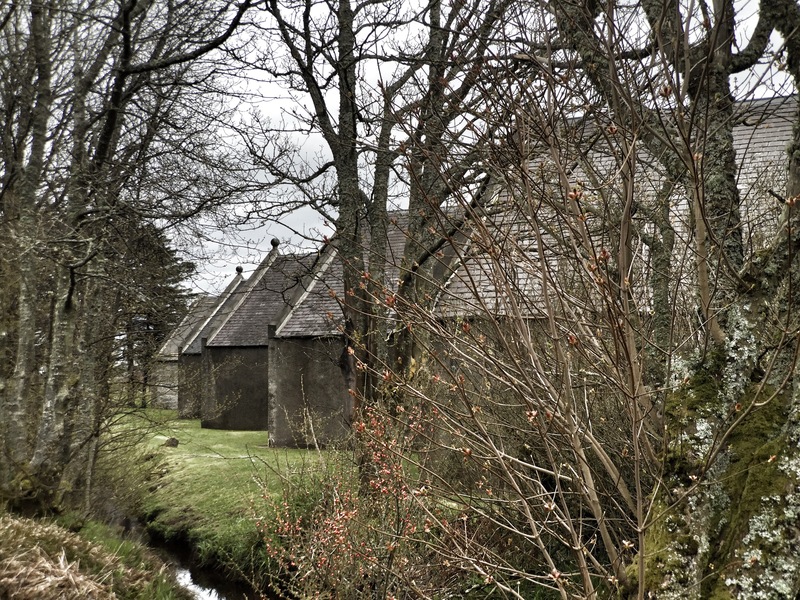 For long periods in its early history the malt produced at Clynelish was sold only to private customers. However this did not last and the distillery struggled during the period between the beginning of Prohibition in America and the end of WWII. So much so that production ceased in the years 1931-38, and again from 1941-45. The okd storage shed where the whiskey would be matured. After the war demand from blenders for Clynelish malt grew, and in 1968 owners Distillers Company Ltd (DCL, which was eventually to become part of Diageo) built a new distillery adjacent to the existing one to increase capacity.